The NUJ joined the European and International Federations of Journalists in condemning the murder of Maltese investigative journalist Daphne Caruana Galizia, who was killed by a car bomb on 16 October in the town of Bidnija, near her family home. Daphne Caruana Galizia, 53, was known for her investigative journalism and her blog Running Commentary, which was one of the most widely read websites in Malta. The journalist had been sued many times for her blog posts in which she revealed several corruption scandals involving Maltese politicians. In 2016, she was named by Politico as one of “28 people who are shaping, shaking and stirring Europe”, after being the first to break news of Maltese politicians’ involvement in the Panama Papers leak. In February this year, The EFJ denounced the freezing of her bank accounts and libel suits filed against her by Maltese economy minister and his consultant, following a report revealing that both men visited a brothel during an official trip in Germany. According to a media report, Daphne Caruana Galizia had filed a police report 15 days ago saying she was being threatened. Comrade Coatesy has an important piece over at his blog (posted 22 July) and I know he doesn’t mind his stuff being republished here at Shiraz. We should also acknowledge the fact that we’ve used material from Skwawkbox in the past (having checked its accuracy), but like Coatesy and others, have become increasingly disturbed by its apparent preference for sensationalism over fact-checking. Orwell and Fake News, Alt-Right, Alt-Right. George Orwell never ceases being cited. These days he more often appears for good reasons than for bad ones. Recently people have had recourse to Benefit of Clergy: Some Notes in Salvador Dali (1944) in order to defend his ability as a “ good draftsman” while being, “a disgusting human being”. That qualified support highlighted, few share the judgement that the Surrealist’s “Mannequin rooting in a taxicab’ as “diseased and disgusting”. The important idea, one, which Orwell repeats about Dickens as Bechhofer Roberts published an early version of what much later developed in the account of the Other Woman, Ellen Ternan, is the distinction between public work and “private life”. In this instance Dali’s alleged infidelity, and the search for his DNA to prove paternity, is irrelevant to the merits or otherwise of his products. English speaking readers are more familiar with this passage, a premonition of the theme of 1984, than French, who, to Foucart, only began to register that dystopia in the 1980s, with intellectuals such as Michael Gauchet dismissing it. 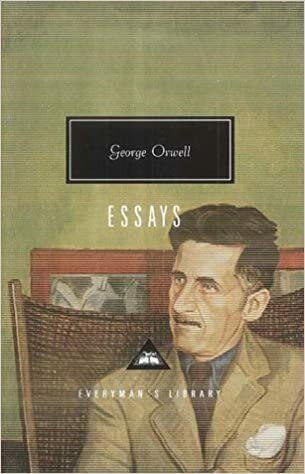 More recently there are those who have taken Orwell to their hearts, for his “common decency”. The idea that the over boiled cabbage and Thought Police of Ingsoc, and a planet divided into three rival Party-Oligarchies, has relevance today may seem to stretch a point. That we know that the past is both so obviously not there, yet is worthy of objective inquiry in ways that other ‘not theres’ are not, is an old metaphysical difficulty. That the standard of objectivity was weakened by what used to be fashionable in the old days of ‘post-modernism’ is well known. But that there are different ‘truths’, a liberal, in the American sense, rather than a conservative principle has become less about controlling history than the present. Was the telly screen a rudimentary form of the Internet asks Foucart? Are Trump’s efforts to purge the Presidential archives of documents challenging his view on climate change? ‘Alternative facts’, reports that bear no relation to truth, have, with the sacking of the White House’s Sean Spicer is now a topic which has made the news. The Media and State Power. The Trump administration has power. But there is nothing resembling an effective state broadcasting monopoly outside of North Korea, despite accusations against the People’s Republic. Trump supporters have their networks, their web sites, the loud media outlets. The British right has the dailies, the internationally influential Mail, the declining Sun, the poor old Telegraph, the ageing Express and the Star, which few get beyond the front page to read. Its media imitations of the American alt-right, languish in obscurity. In Britain if these forces are capable of manufacturing truths, from the endless drip drip against migrant workers and Europe to scare-stories about left-wingers, and have an effect on opinion, they took a jolt at the last election. As the laughable Election Day front page of the Sun demonstrated so well. The Alt-Left and Alternative Facts. Come the arrival of the ‘alt-left’. In Britain this means enthusiastic pro-Jeremy Corbyn people. Sites such as The Canary may not be to everyone’s taste but have a readership. But the debate over alternative facts has spread inside the left. Is it justified for Skwawkbox to engage in its own war of attrition with the arms of sensational, scaremongering, stories. The best known at the moment is their recent ‘scoop’ that claimed that everybody on disability benefit transferred to Universal Credit , who did not find a job in two years would be subject to sanctions? That is that they risk losing a large part (if not all) of their income? Is their mealy-mouthed justification for running the tale acceptable? They continue to publish wild stories. That the Daily Mail has attacked the site with its own falsehoods does not give the author a free-pass when it comes to truth and accuracy. (1) The 2 year job rule for disabled people on Universal Credit is not true! Thank you to Gail Ward who put this together. In the last few days it has been widely reported by various bloggers that those disabled claimants claiming Universal Credit are subjected to finding a job within two years or face a 1 year sanction. This is utter fabrication and feeding many claimants fears which could potentially cause harm. So today I called Welfare Rights, who called DWP while I remained on the phone, they denied that this information was correct and was downright alarmist and dangerous. That doesn’t mean I trust DWP and have submitted a FOI too given 7 years of shenanigans. So you see folks, you can take the fear project and destroy it with Facts! All Orwell references in Essays. George Orwell. Everyman’s Library. 2002. 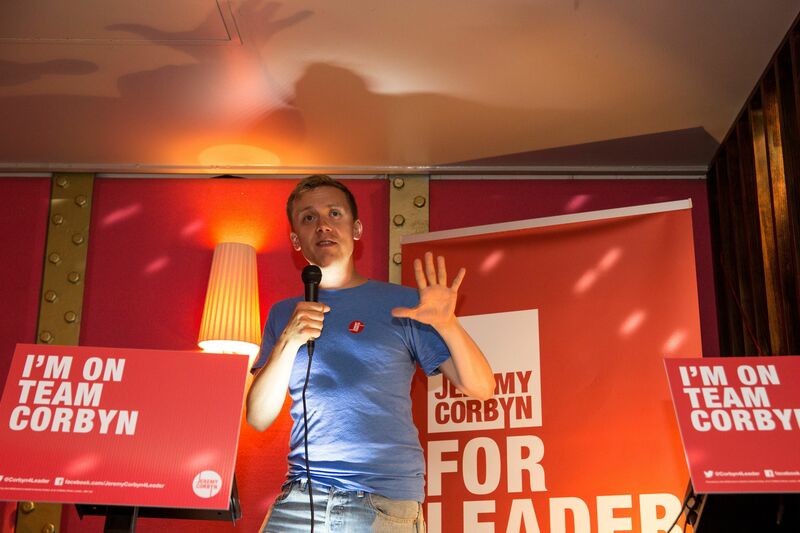 Owen Jones is not a favourite of most of us here at Shiraz: in the past we’ve considered him smug, annoying and all too ready to present banality as groundbreaking original thought. Nevertheless, there can be no denying his genuine commitment to left reformism and to the creation of a fairer society. He is a personal friend and long-standing political ally of Jeremy Corbyn and supported the Corbyn leadership bid from the get-go (even if, like Corbyn himself, he didn’t expect victory). Some of those criticising Jones are serious comrades for whom we have considerable respect; their central objection seems to be not so much the content of Jones’s criticism, but the timing of it, during the leadership election. In response, I’d point out that all the evidence suggests a strong Corbyn victory and it seems highly unlikely that Jones’s comments will significantly effect the final result. Other objections are just plain silly, and verge on “don’t be nasty to Jeremy“. Accusations to the effect that Jones is a “Blairite”, “careerist” , “sellout” etc are simply ridiculous and should treated with contempt. Where is the clear vision? “What’s Labour’s current vision succinctly summed up? Is it “anti-austerity”? That’s an abstraction for most people. During the leaders’ debates at the last general election, the most googled phrase in Britain was ‘what is austerity?’ — after five years of it. ‘Anti-austerity’ just defines you by what you are against. What’s the positive vision, that can be understood clearly on a doorstep, that will resonate with people who aren’t particularly political? What’s the strategy to win over the over-44s? What’s the strategy to win over Scotland? How would we deal with people’s concerns about immigration? Labour faces an existential crisis. There will be those who prefer me to just to say: all the problems that exist are the fault of the mainstream media and the Parliamentary Labour Party, and to be whipped up with the passions generated by mass rallies across the country. But these are the facts as I see them, and the questions that have to be answered. There are some who seem to believe seeking power is somehow ‘Blairite’. It is Blairite to seek power to introduce Blairite policies. It is socialist to seek power to introduce socialist policies. As things stand, all the evidence suggests that Labour — and the left as a whole — is on the cusp of a total disaster. As you know, Norman Geras died of cancer on October 18 2013, and as such we feel strongly about doing our part to provide support to those looking to improve treatment and find a cure. It has come to our attention that a Corbynite by the name of Alan Thomas is raising money for Cancer Research UK. Unfortunately, it turns out that he’s not having much luck raising funds from his comrades. Well, this is an important cause and we’d like to help. So, in the spirit of Christmas, let’s band together and raise some money in honour of Norman Geras, and the work that has inspired us all. Sure, it might annoy Alan a little, but what a small price to pay to help to cure cancer? Remember to sign your names as A Eustonite/A Gerasite/A Zionist, so he can be sure to know where the money is coming from. Give generously. Let’s bring a smile to his face. Bottoms up, Alan. JD adds: be sure to sign yourself as A Shachtmanite/ A Matgamnaite / A Shirazer, or whatever … just so the Eustonite scum don’t get the credit. Free Raif Badawi! Stop the flogging! 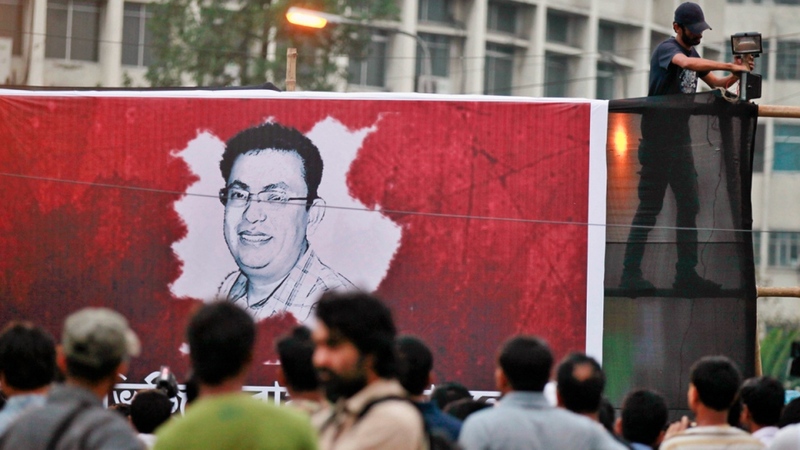 Ananta Bijoy Das: yet another secular Bangladeshi blogger murdered by Islamists. Ananta Bijoy Das, Beloved by Humanity, Hacked to Death by Islamists. Loved by all Progressive Humanity: hacked to Death by Islamists. 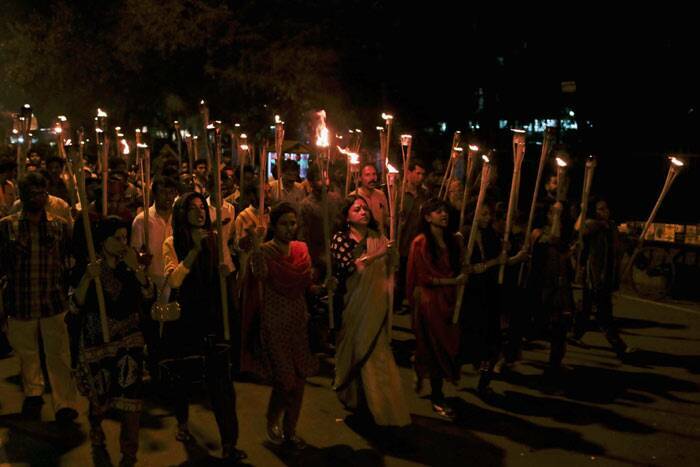 Ananta Bijoy Das: Yet another Bangladeshi blogger hacked to death. (CNN) Attacks on bloggers critical of Islam have taken on a disturbing regularity in Bangladesh, with yet another writer hacked to death Tuesday. Ananta Bijoy Das, 32, was killed Tuesday morning as he left his home on his way to work at a bank, police in the northeastern Bangladeshi city of Sylhet said. Four masked men attacked him, hacking him to death with cleavers and machetes, said Sylhet Metropolitan Police Commissioner Kamrul Ahsan. The men then ran away. Because of the time of the morning when the attack happened, there were few witnesses. But police say they are following up on interviewing the few people who saw the incident. Das’ death was at least the third this year of someone who was killed for online posts critical of Islam. In each case, the attacks were carried out publicly on city streets. In March, Washiqur Rahman, 27, was hacked to death by two men with knives and meat cleavers just outside his house as he headed to work at a travel agency in the capital, Dhaka. In February, a Bangladesh-born American blogger, Avijit Roy, was similarly killed with machetes and knives as he walked back from a book fair in Dhaka. The three victims are hardly the only ones who have paid a steep price for their views. In the last two years, several bloggers have died, either murdered or under mysterious circumstances. Das was an atheist who contributed to Mukto Mona (“Free Thinkers”), the blog that Roy founded. Mukto Mona contains sections titled “Science” and “Rationalism,” and most of the articles hold science up to religion as a litmus test, which it invariably fails. While Das was critical of fundamentalism and the attacks on secular thinkers, he was mostly concerned with championing science, a fellow blogger said. He was the editor of a local science magazine, Jukti (“Reason”), and wrote several books, including one work on Charles Darwin. Soon after Das’ death, his Facebook wall was flooded with messages of shock and condolence. And hundreds of protesters took to the streets in Sylhet demanding that the government bring his killers to justice. “We’ve heard from Ananta’s friends that some people threatened to kill him as he was critical of religion,” Das’ brother-in-law Somor Bijoy Shee Shekhor said. “We are ashamed, brother Bijoy,” someone posted on Das’ Facebook page. “Is a human life worth so little? Do we not have the right to live without fear?” wrote another. The beloved comrade will be remembered by all humanity. Open Letter: Save and Free Raif Badawi! Here’s an open letter to Cameron, Miliband etc. on the case of Raif Badawi, the Saudi blogger who now again faces possible execution for apostasy. The organisers are trying to move the campaign from petitioning and desperate pleas – amnesty style – to something a little more substantial. There is a translated letter being used in France and they are trying to get Charlie Hebdo survivors to sign. We intend to send it end of Tuesday, sending to the press for Tuesday lunchtime. It would be good if we could get some signatures on it from trade unionists and socialists. We are attaching the letter and signatures as of midday today (also below) but anyone thinking it would be useful to make contacts as well as get signatures please use it. Or obviously if you want to sign….. let us know in the comments below. Saudi blogger Raif Badawi is currently imprisoned in a Saudi Arabian jail having received the first 50 of a threatened 1,000 lashes. If Raif survives these floggings he faces another 10 years in jail. His ‘crime’ was to have set up a website that called for peaceful change of the Saudi regime away from the repressive and religiously exclusive regime that it is. In another shameful act his lawyer Waleed Abu Al-Khair, and other human rights activists were also later arrested. On February 20th this year Waleed had his sentence confirmed as 15 years in prison. The European Parliament in its resolution of Feb 12th made clear its demands on Saudi Arabia to release Raif, as well as his lawyer Waleed and others imprisoned there for exercising their freedom of speech. But to free Raif from this nightmare needs more than politicians saying that they disapprove of his punishment. The total EU trade with the Saudi regime is currently close to €64 billion a year. The UK alone has approaching £12 billion invested in Saudi Arabia whilst it continues to invite Saudi investment in the UK, particularly in the property market. Saudi investment in the UK is currently over £62.5 billion. As the regime inflicts beheadings and floggings on its people, questions have to be asked about why more cannot be done to promote the human rights of citizens of a country with which there is such extensive business. Particularly questions have to be asked about the morality of providing such a regime with arms, particularly the weaponry and facilities they use in their brutal penal system. We ask that you make publicly clear your complete opposition to the human rights abuses in Saudi Arabia and demand the immediate release of Raif and Waleed as the EU parliament has done. We also ask that you make publicly clear what measures you will take as a government to put any trading with this regime on an ethical basis and what conditions you will demand from the Saudi regime if all of that trade is to continue – particularly in relation to weapons that might be used in oppression or imprisonment. If nothing is done to stop the brutality, beheadings and floggings that are committed there – then any moral stand taken against similar horrors committed elsewhere by the Islamic State in Iraq and Syria can only be compromised. Memorial Protest for a Beloved Fighter for Freedom. Avijit Roy, who has been killed in an attack in Dhaka at the age of 42, was a Bangladeshi-American blogger, published author, and prominent defender of the free-thought movement in Bangladesh. Mr Roy rose to prominence though his prolific writing on his self-founded site, Mukto-Mona – an internet gathering of mostly South Asia free-thinkers, ratio­nalists, sceptics and humanists founded in 2000. He was a passionate atheist and an adherent of metaphys­ical naturalism – the school of thought that rejects the supernatural concepts and explanations that are part of many religions. He was the author of numerous books, and had many articles published in magazines and journals. In a conservative country like Bangladesh, his subject matter was often contentious, covering sensitive issues such as homosexuality – which he argued was inherent in nature – religious unbelief and cosmology. Mr Roy’s followers argue that many of his secular ideas are in the tradition of the great Bengali writer Rabindranath Tagore, who died in 1941 and is often referred to as “Bengal’s Shakespeare”. Some of the last books Mr Roy wrote, Obisshahser Dorshon (The Philosophy of Disbelief) and Biswasher Virus (The Virus of Faith), were critically well received around the world. In the Virus of Faith he argues that “faith-based terrorism will wreak havoc on society in epidemic proportions”. He said in the article that a book he published last year “hit the cranial nerve of Islamic fundamentalists” and led to him being targeted by militant Islamists and terrorists. It also led, he said, to a man openly issuing death threats against him on Facebook. Avijit Roy and his wife were returning from a book fair at Dhaka University on Thursday evening when they were attacked. Witnesses told local media their bicycle rickshaw was stopped by two men who dragged them on to the pavement but police chief Sirajul Islam said the couple were ambushed as they walked towards a roadside tea stall. Both accounts said at least two men with machetes started hacking at the couple as they lay on the ground. The attackers then ran away, disappearing into crowds. Mr Roy, believed to be in his 40s, was pronounced dead during emergency surgery at the Dhaka Medical College hospital and his wife, Rafida Ahmed Banna, lost a finger and is being treated for serious injuries. Former Chief Justice ABM Khairul Haque says the judiciary is also to blame for the culture of impunity that led to Avijit Roy’s murder. Speaking to bdnews24.com at the Amar Ekushey Book Fair on Saturday, he said that since many have got away with murders of free thinkers and intellectuals before, other zealots have felt encouraged to launch similar attacks. He was referring to suspects of such killings easily securing bail from the High Court. Writer-blogger Avijit Roy and his wife were hacked by unidentified miscreants near Dhaka University’s TSC on Thursday night. He died at the Dhaka Medical College and Hospital soon after he was rushed there. His wife and fellow blogger Rafida Ahmed Bonya lost a finger and was seriously injured. She is being treated at a Dhaka hospital. The couple lived in the US, but were in Bangladesh to launch newly published books written by Avijit at this year’s book fair. “I must say after Avijit’s murder, that we need to stand up to this unitedly,” the former chief justice said. According to Haque, the judiciary was also responsible. Roy was the founder of ‘Mukto-Mona’ (Free Mind) blog and used to write against communalism and religious superstition. Fundamentalists had threatened him on several occasions for his writings. Police are yet to identify the killers, but suspect fundamentalists for the murderous assault because Avijit’s murder resembles those of legendary writer Humayun Azad, blogger Ahmed Rajib Haider and Rajshahi University teacher Shafiul Islam. All of them were known for their bold stance against religious extremism and communalism. Azad was killed in a similar attack near TSC in February 2004. In 2013, Rajib Haider was killed near his home at Dhaka’s Mirpur area. One of the suspects of that murder secured bail from the High Court, which was later stayed by the Appellate Division. One Farabi Shafiur Rahman, who was arrested on charges of inciting more attacks on bloggers like the one on Haider on the web and social media then, is now out on bail from the High Court. Even now there is considerable traffic on the web supporting Avijit’s murder, with Islamist radicals posting laudatory messages and tweeting extensively. Monday strike in DU to protest Avijit Roy murder. BD News. Pragatishil Chhatra Jote, a platform of Leftist student organisations, has called for a strike at Dhaka University for Monday to protest the brutal murder of writer-blogger Avijit Roy. The brutal killing of writer, blogger Avijit Roy in hand of machete-wielding assailants has created a shockwave in the global media. The leading news organisations from around the world including BBC, Reuters, the Guardian, The New York Times, NDTV etc condemned the barbarous killing, bringing out detail of the attack. 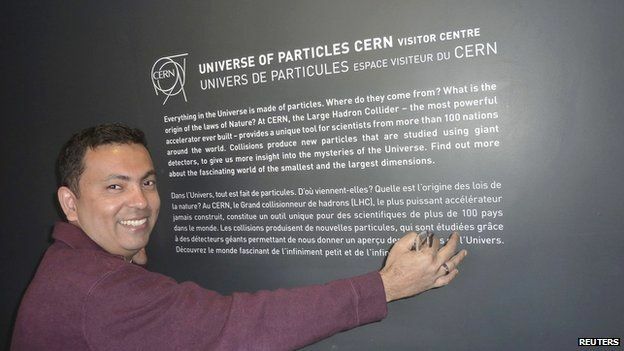 The contributions of Avijit, a naturalised US citizen, particularly his activism for scientific knowledge and secularism through online and publications, his receiving threats from militants groups, the attack by the widespread protest against the killing and for arrest of the attackers, and the country’s context were mentioned in the BBC’s report. The killing of the son of the country’s one of the most prominent professors Ajay Roy was covered Reuters, as “American blogger killed in Bangladesh machete attack,” the New York Times reported “Avijit Roy, Bangladeshi-American Writer, Is Killed by Machete-Wielding Assailants,” besides several other versions with updates. Roy came to Dhaka for publication of his new books in the book fair around mid-February with his wife, and on the evening they fell under the attack in the TSC area in Dhaka University on the way back from the fair. Avijit wrote a number of books on mainly philosophy, rationalism and science, in line with his activism, also in online, for secularism and freedom of expression, for which he had been receiving death threats since long, including the recent one when social media fanatics openly declared to kill him on coming home, family told media. The UK-based the Guardian reported “American atheist blogger hacked to death in Bangladesh” mentioning the previously happened similar attacks on the free thinkers. “American-Bangladeshi atheist blogger Avijit Roy hacked to death by suspected Islamist extremists,” wrote the UK based the Independent. CNN titled “Prominent Bangladeshi-American blogger Avijit Roy killed” where it detailed with the facts related to the killing and the shocks emerged from it. From the murder to the UN condemnation, the media all around the world are coming up with the follow ups as well. The attack was widely covered in the media of neighboring India and Pakistan. India’s NDTV and Pakistan’s Dawn among the prominent news media covered the story, his contributions, threats were mentioned. These news media are also following the developments in Bangladesh and the world, in response to the attack, protest and condemnation that began in Dhaka. After being disgraced for plagiarism and sock puppetry Johann Hari has resurfaced again with a new book. A very good piece here by Jeremy Duns sets out how he has not changed his slipshod ways and that he is still being accepted at face value when he should be treated with caution. Hari has now published audio extracts on his website of his interviews, to waylay fears he is still cutting corners. Sounds good! But due diligence isn’t simply ‘Oh, there are loads of endnotes – it must be well-researched, then.’ Or ‘Oh, he has posted the audio clips of his interviews: he’s reformed. Phew.’ Sorry, but it isn’t. That is laziness of the kind that allowed Hari to get away with being a plagiarist for so long. You have to follow the endnotes and check that the sources say what is being claimed. You have to listen to the audio and check that the quotes accurately reflect them. Hari himself gave this as a reason for posting audio: ‘so that everyone can hear them and verify they were said directly to me.’ But in just a few minutes of listening to the audio he has posted, I found several alarming problems. Some of the quotes aren’t even in the articles he claims they are in, which suggests a certain level of carelessness. Some present challenges in that he was interviewing people through a translator, but by and large he seems to have been reasonably fair with these, although I think he cleans up rather more infelicities than I would. ..
We don’t know the full extent of what Hari did in his journalism for ten years, because he refuses to say and nobody has bothered to look. But what about his new journalism? What about his book? Presumably, as per his promise, he will publish all the audio for his quotes for it on his website. Presumably, Bloomsbury has already checked them to make sure, despite not having any record of what he got up to for a decade, that he is now scrupulously honest and accurate in his work. But I have my doubts. Hari lied in 2011, and he is still lying now. The reasons why nobody has bothered to do anything about it should depress you. Read the whole piece – it’s good not only about Hari but about standards of journalism in general. It shouldn’t have come as any surprise: after all, he’d warned us in so many words, that he was headin’ for the last round-up. But it was still a shock today, when the news came through – it felt like losing a a best friend or even a family member with an illness that you’d known all along could only have one ending. This despite the fact that we’d never properly met and only ever corresponded by email or via his occasional BTL comments here. This version of ‘Ghost of A Chance’ recorded by tenorist Illinois Jacqet in 1968 was Norm’s gift to me, when I had the honour of being the subject of one of his many ‘profiles’ of fellow-bloggers. I’m playing it now, and thinking of him. NB: http://normfest.org/ – well worth a visit, and you can leave a message there as well.